Using an online email client like those offered by Google and Yahoo! has some important advantages over using a desktop email client, such as Outlook, in that your email is always accessible from anywhere with an Internet connection. We like to make it easier for our customers to aggregate their email into one place, and most people we work with use Gmail as their preferred mail client. We’ve put together this guide to help you smarten up your business’s presentation by using a professional-looking email associated with your domain name, while managing your emails in one place. It really is personal preference how you wish to proceed. Option 1 has the benefit that you have less set up to do in your Gmail, while Option 2 has the benefit of keeping everything configured in one place. If you would like to configure your email to be retrieved by Gmail we will provide the information that you need and here’s what you need to do. That’s it, you’re good to go! Remember that whether you configure a forwarder on your server or set up your message retrieval through Gmail, there may be a slight lag between sending and receiving of email. This is because the forwarder/retriever will fire every few seconds, rather than continuously, so do not be alarmed by a short delay. Once you are receiving emails to your bespoke email address, you’ll want to ‘reply as’ when responding to your customers. You can configure your Gmail to ‘Send mail as’ by following these steps. Presto! 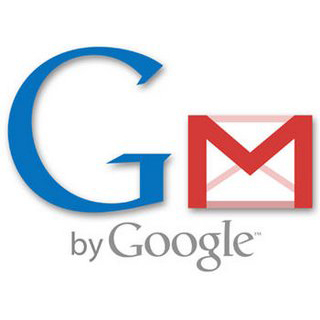 You can now send mail as your custom email address from within Gmail. To your customers it will appear as if the email has come from info@mydomain.co.uk rather than from your Gmail account. Configuring a signature for each of the email accounts that you manage through your Gmail adds a nice touch to your business emails and allows you to incorporate links to your website, your Facebook Page and so on. This is how you do it.